Wymston was one of many gracious nineteenth century homes in the City of Canada Bay area. Dr George Fortescue, amongst the first surgeons appointed to Royal Prince Alfred Hospital, built Wymston at Chiswick, possibly in the early 1880s. He named his home after Whympston in Devon, the ancestral manor of the Fortescue family. After Dr Fortescue’s untimely death from typhoid in 1885, the home had a succession of owners, among them noted engineer Henry Deane Walsh, commemorated by Walsh Bay in Sydney Harbour. Susan Rowe explored the story of Wymston while researching her recently published book on Henry Deane Walsh. The photograph was taken at the time Henry Deane Walsh and family were resident at Wymston, from approximately 1903 to 1906. In 1922 the Wymston estate site was taken over by the Co-operative Box Factory and the house appears to have been demolished about that time. The name of Wymston Parade at Chiswick is a reminder of this gracious old home. From modest beginnings in 1867, Rosebank College has grown and evolved over 150 years to make an outstanding contribution to the education of young people. Three Good Samaritan Sisters opened a school at Albina Villa, an old house near Parramatta Road, Concord in mid 1867. 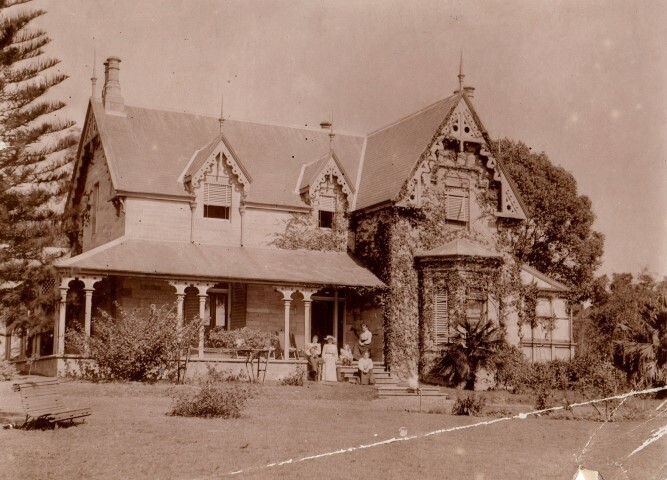 In the following year, the Rosebank property at Five Dock became available and was purchased for the school. The fascinating story of the Rosebank College’s growth and development over the past 150 years is told in the recently published book Sursum Corda, lift up your hearts by Thomas Westenberg. 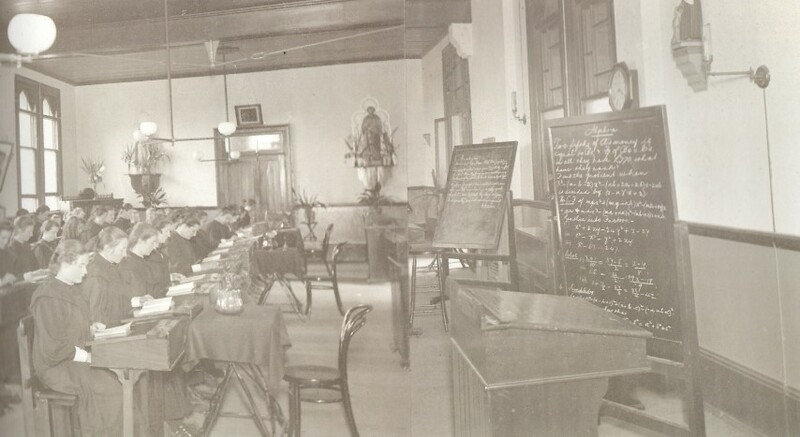 The photograph, above, from the book shows students studying algebra about 1910.